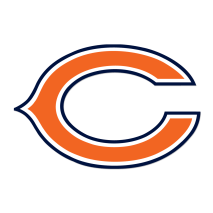 The Chicago Bears have won 52 of 91 games against the St. Louis Rams throughout history, but this is a different Rams team and a different Bears team. This time around, the Rams are favored by 7 1/2 points, and for good reason. The Rams have the 5th ranked defense in the NFL, allowing only 18.3 points per game and a measly 219.8 passing yards per game. In fact, they’ve allowed only 5 passing TDs all season, good for best in the NFL. If there’s any weakness at all in the Rams defense, its in defending the run, as the Rams still allow 104.0 rush yards per game. 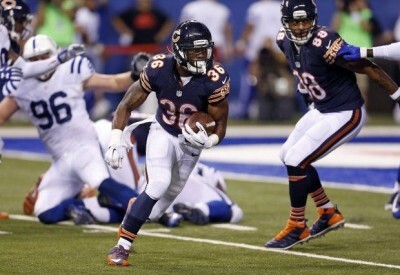 And that’s a good thing for the Bears, seeing as how rookie RB Jeremy Langford broke out last week with 142 total yards, a TD and a 2-point conversion on 21 total touches subbing for an injured Matt Forte. Forte is likely out again this week against the Rams as he works his way back from a sprained MCL, so Langford will get another opportunity to command touches in the backfield. With Jay Cutler having his share of TDs and takeaways, and a quality Rams secondary to contend with, much of the outcome of this game will depend on Langford’s ability to move the chains on the ground. Sure, Alshon Jeffery is having a terrific year (when healthy), and Martellus Bennett has been a target monster in recent weeks, but the Bears will have to rewind the clock and play some smash mouth football with its 16th ranked rush offense to have a chance against the Rams. The Bears defense has been quietly having a good year, being ranked 9th overall in the NFL this season. Of course, the Bears have been far better against the pass (ranked 5th) than they have been against the run (ranked 24th). 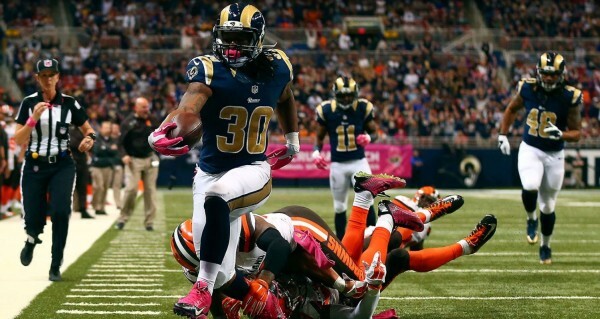 And that will be a huge concern against rookie RB phenom Todd Gurley. 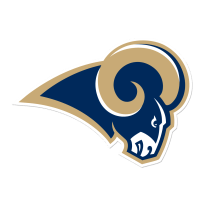 Gurley had four 100-yard rushing games until last week against the Vikings and is averaging an amazing 5.6 yards per carry, exceeding 700 total yards in just five full games. Thankfully for the Bears pass defense, the Rams don’t have many weapons through the air, as Nick Foles has been a better game manager than anything else, and the only consistent threat at WR has been Tavon Austin. The Rams did recently sign Wes Welker, but with only three practices under his belt, I doubt he’ll see many snaps in his first week. I have a feeling that the Bears offense has finally clicked, and although facing a difficult challenge in a strong Rams defense, will be able to move the ball downfield. On the other hand, Gurley is going to have a great game as well, but I think Foles makes enough mistakes to allow the Bears to sneak away with the win.